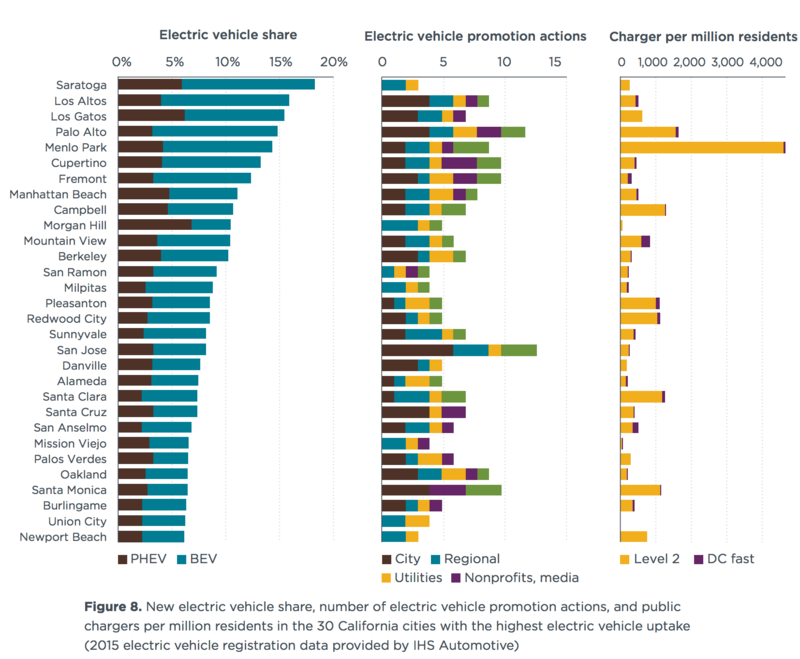 An interesting analysis of the California electric vehicle market was recently published by the International Council on Clean Transportation (ICCT), providing a nice overview of the effects of various policies and promotional activities in effect there through 2015, as well as lessons for other locations/jurisdictions. 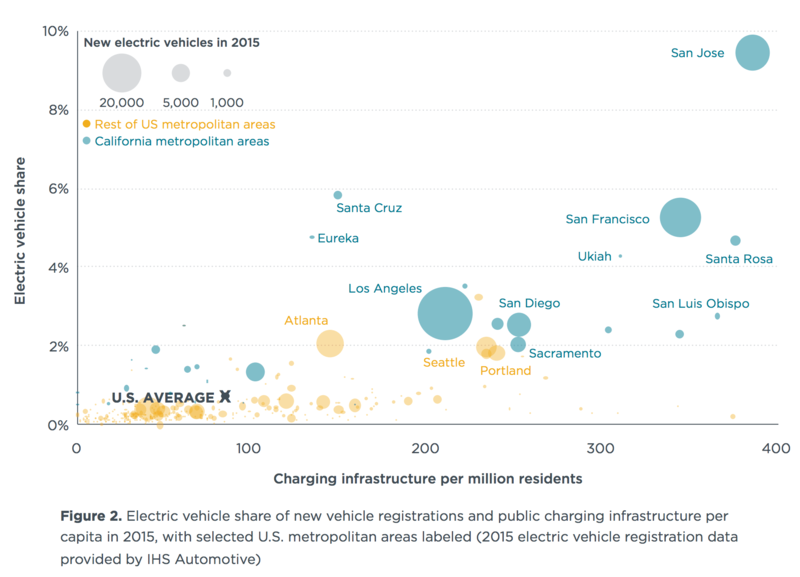 The analysis is based around city-level data on electric vehicles for 30 different cities, including adoption rates, public charging infrastructure availability, model availability, promotional efforts, incentives, etc. 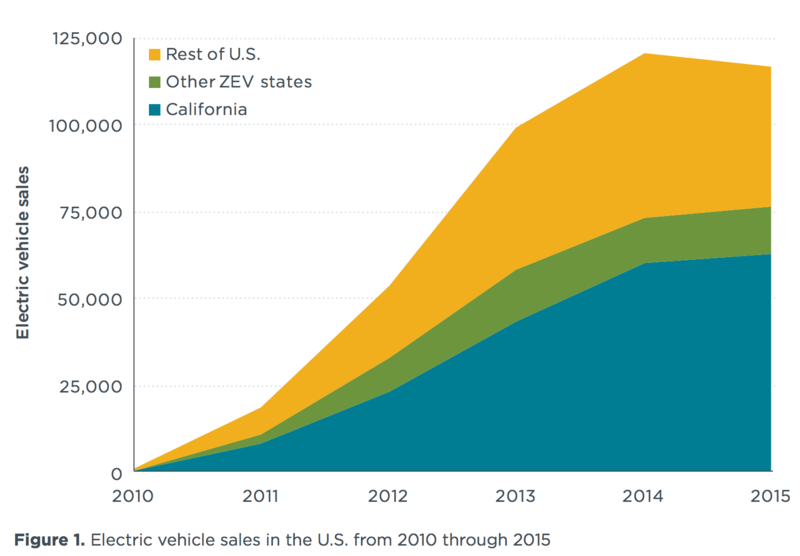 The graph and chart below show exactly why such an analysis could be illuminating — electric vehicle (EV) adoption rates in many Californian cities are much higher than elsewhere in the country, and California as a whole is home to about half of all US EV sales. In addition to the aforementioned factors (infrastructure, incentives, availability, promotional efforts, etc. 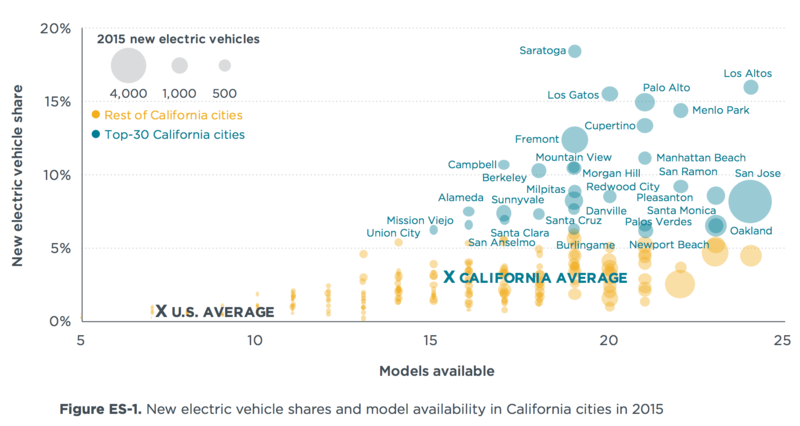 ), it’s clear that median income levels play a part as well — not surprising considering the relatively high cost of current electric vehicle models. Interesting, though not surprising, findings.